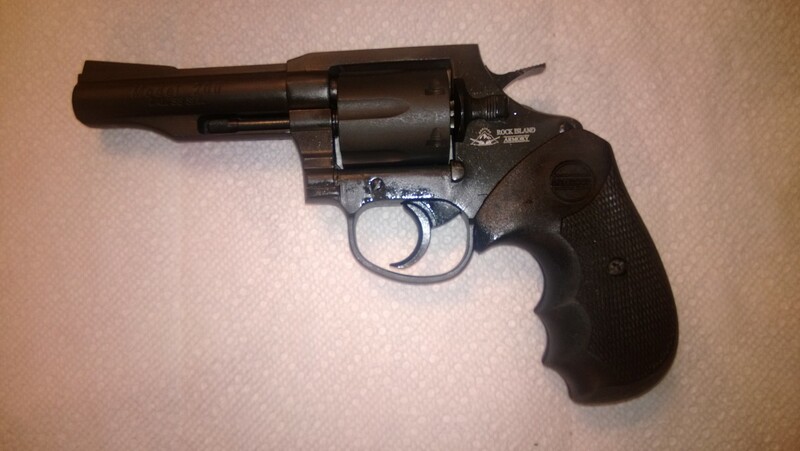 If you read my other reviews, you may have noticed that I like cheap firearms. They are an engineering challenge for me - it is easy to build an accurate gun by pouring money into the project. It is much harder to make a great mass produced weapons. This is the reason that when I see inexpensive guns, I tend to buy them just to try them out. I have been familiar with Armscor products for a while, but until now I mostly dealt with their Rock Island brand 1911 pistols. 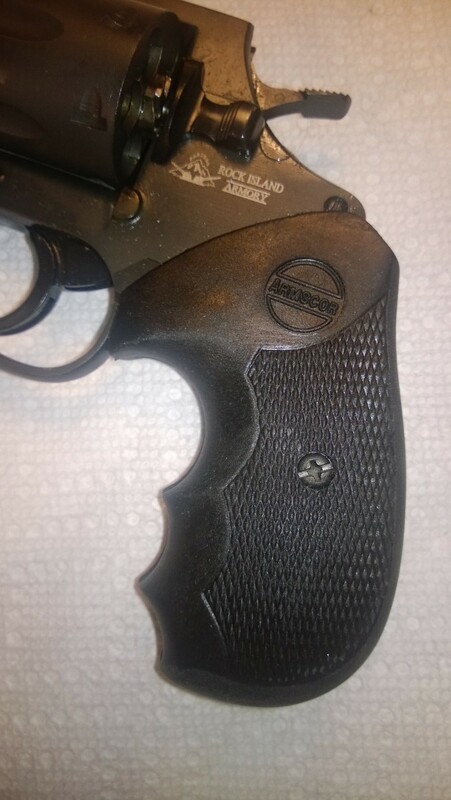 They are very popular, sell quite well, and I absolutely adore my RIA 1911 Match. Dozens of them went through my hands in the last couple of years. Until now, however, I have not seen their revolvers. They make two models - a snubby, and a 4", both chambered in 38 Special. They are pretty rare - my distributors might have the once or twice a year, and I have not ever seen it in any of the local gun stores. So when my distributor got a few, I immediately ordered one to test. If you have ever seen Armscor parkerizing, you know exactly how the surface looks. Machining of the external surfaces looked to be ok - cylinder has concentric machining marks at the ends, which is probably by design. 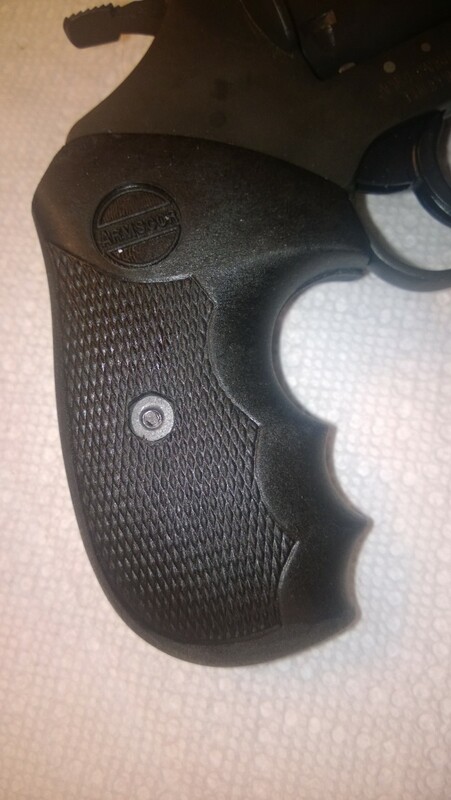 Grips are unassuming polymer, but feel reasonably comfortable. The revolver felt well balanced. 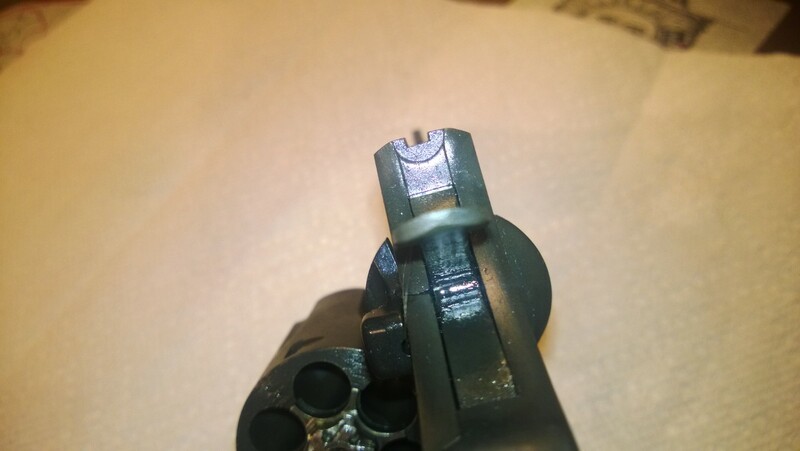 Barrel was parkerized inside and out. 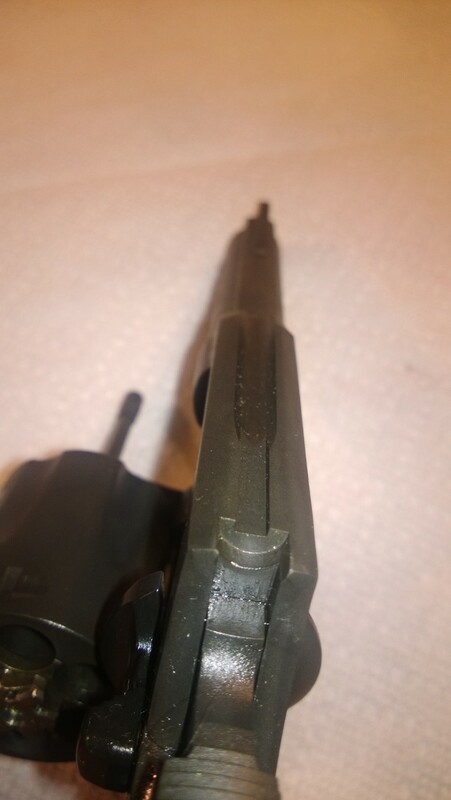 Looking through the borescope, there were some machine marks that are common to Armscor cheaper 1911s, but fewer than usual, and all of them were constrained to one land. 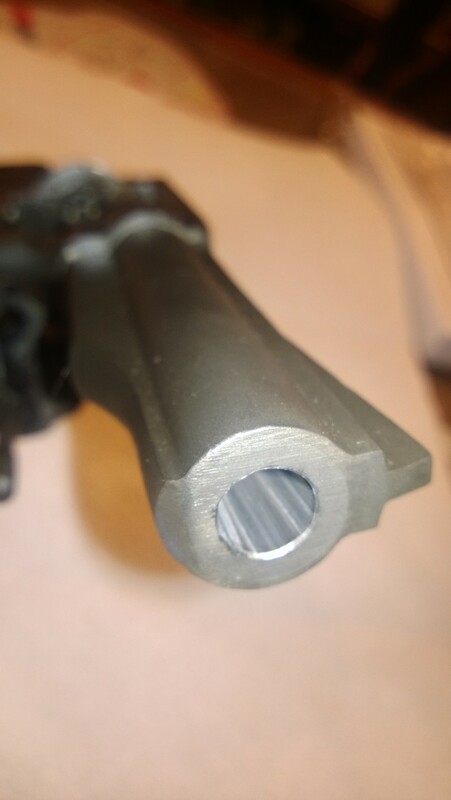 One of the not so great features of the revolver are sights. They are not cut exactly straight (it is hard, but possible to see in the pictures), so aligning them for precision shooting is not easy. 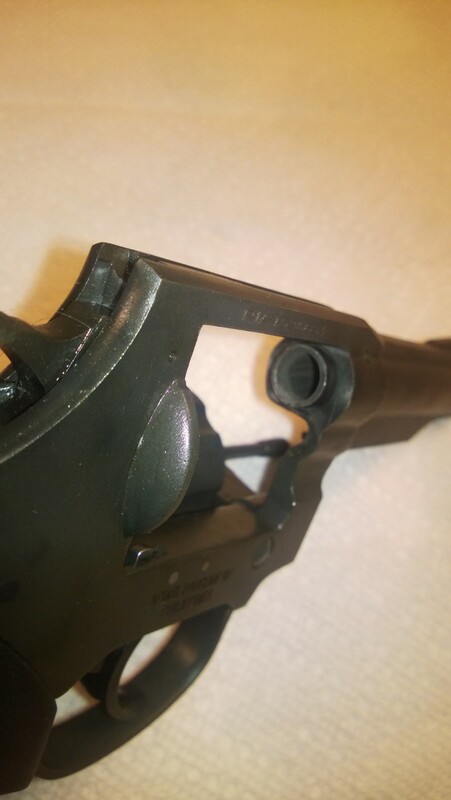 Problems like that are often present in cheaper and military surplus firearms. The trigger was very nice - the break was crisp at 6.5lb for the single action. The double action was light - I would estimate 12-13lb, but my gauge does not go this far. 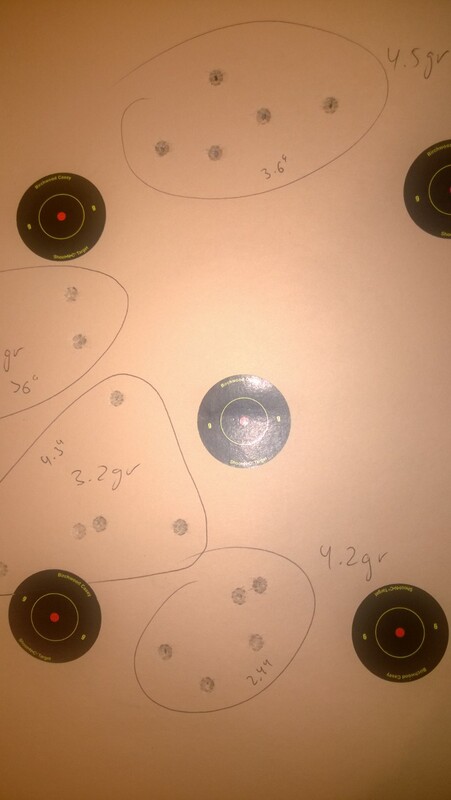 I took the revolver out for some range practice the next day. 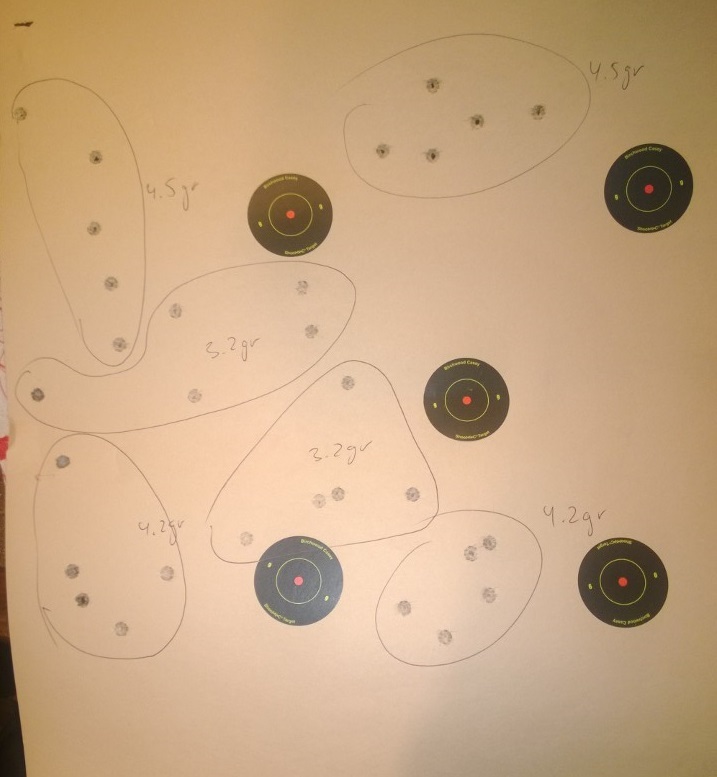 The load I used was Armscor 125gr bullet over varying amounts of Bullseye. Here is the target from 25 yards (the bull size is 2"). 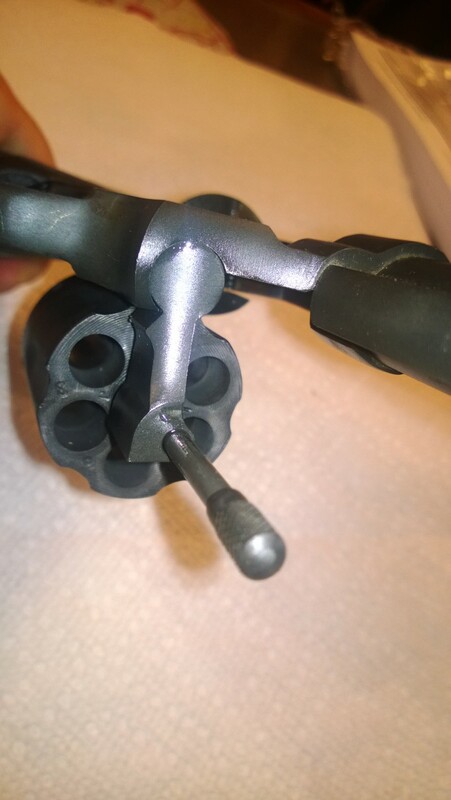 The revolver performed really poorly for the light loads, shooting 4-6" to the left. One group was over 6", the other just over 4". Increasing the load brought the point of impact in to roughly 3-4" to the left, and most of the groups were around 4" or less, except one which was 6". 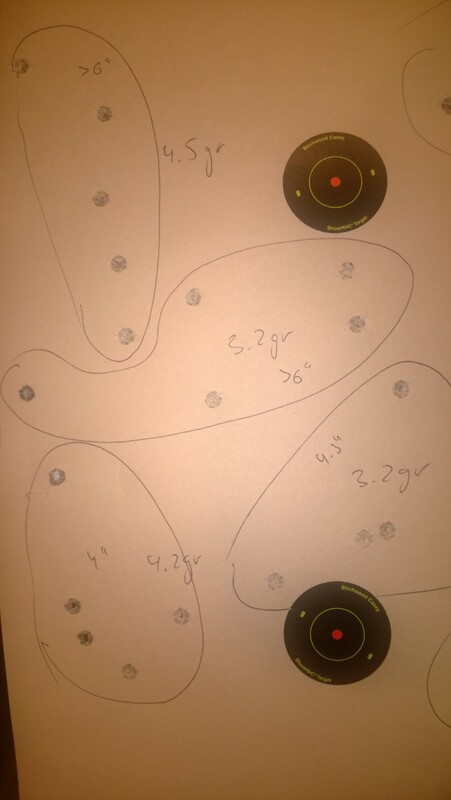 The next day I experimented with the wadcutter bullets over 2.7gr of Bullseye, the so-called "classic" load. The results were the same - 4" groups 3-4" to the left. Unfortunately, I did not keep these targets. 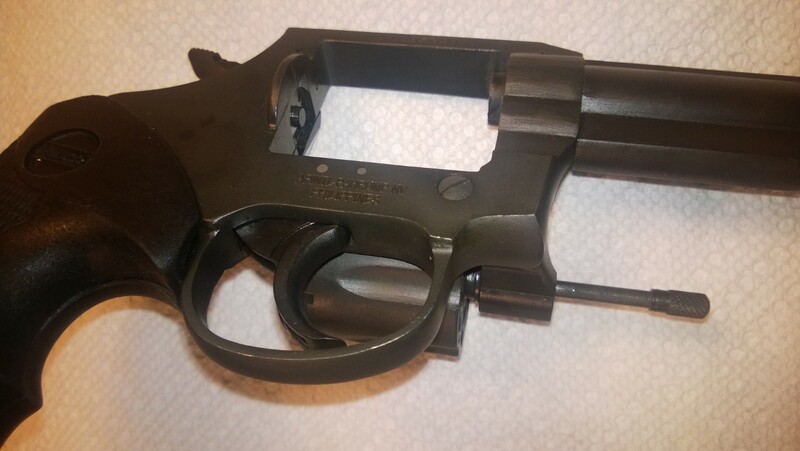 Sights and accuracy are my biggest complaints about this revolver, and this is really a manifestation of the same problem. 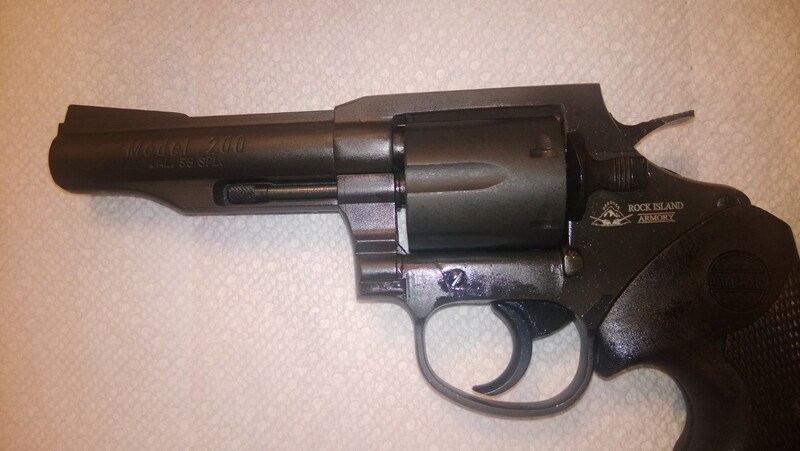 It should be granted that a $200 revolver would not have the same quality of machining as a $1000 revolver. And a lot of precision is required to make sure that the sights are on the mark. 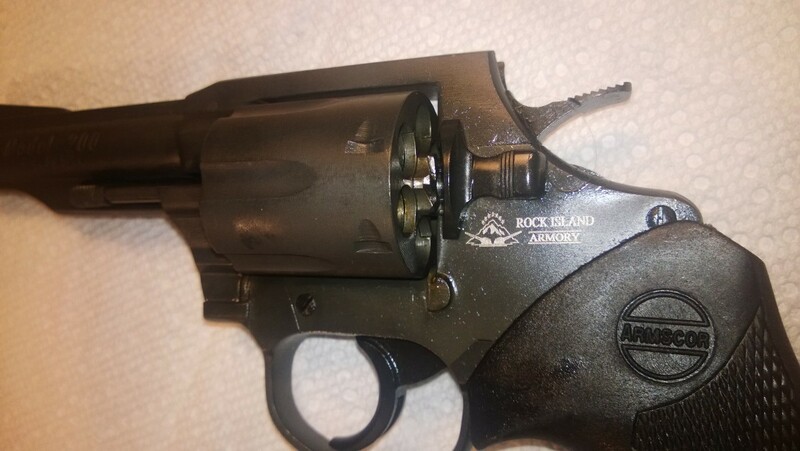 Armscor could have compensated for this by putting adjustable sights on this revolver. That would of course come with an extra cost - the cost I would be happy to pay. 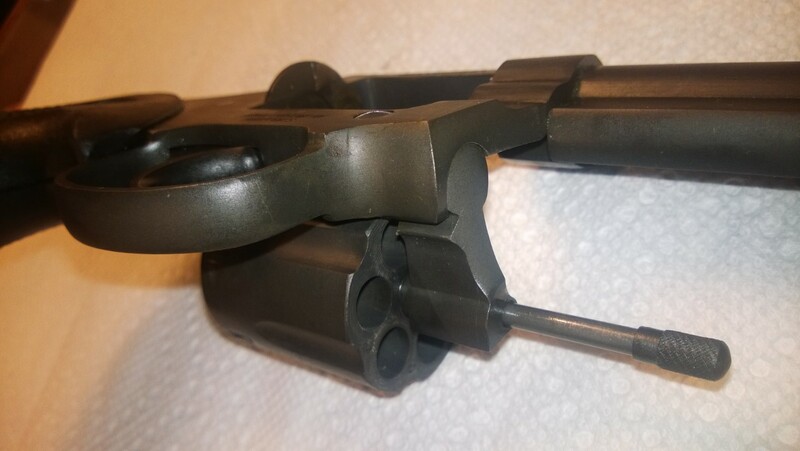 This would eliminate the need for extreme precision - at which a cheap revolver is guaranteed to not succeed - because then it would just be a question of simple adjustment to align the sights with the actual trajectory of the bullet. 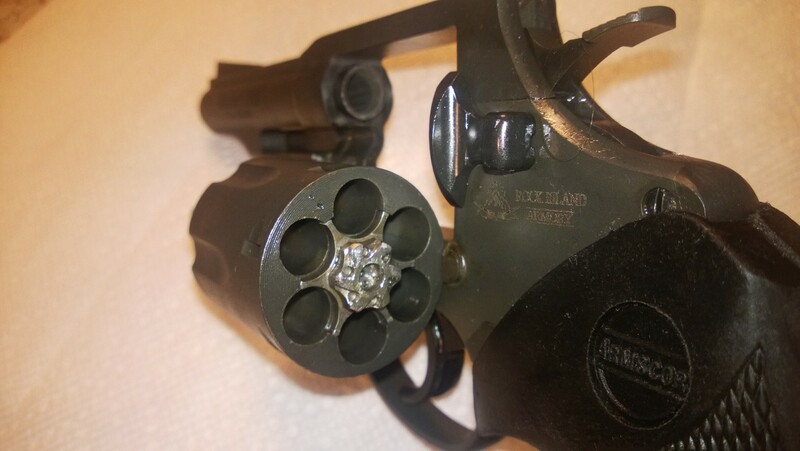 If the point of impact on this particular revolver were centered, even with the worst groups I shot the bullet would not be more than 3" off target at 25 yards - quite acceptable performance. As it is, the worst out of 30 or so rounds on the target is 9" away from where I aimed. 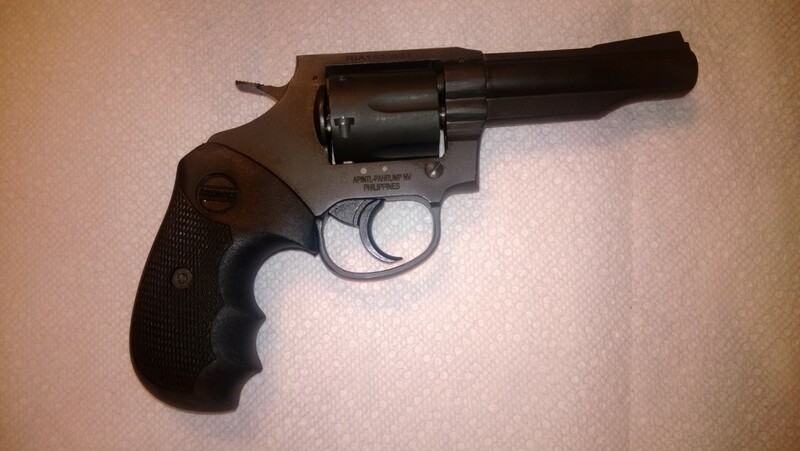 It may not ruin the revolver for close range shooting, but it pretty much destroys its potential for target shooting.